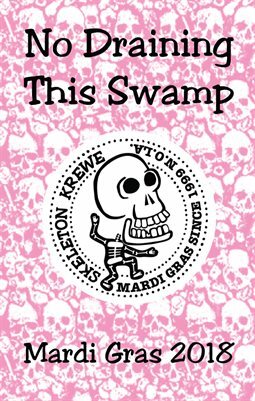 The Skeleton Krewe is a non-profit marching group. Your contribution through our web store goes directly toward defraying the costs of parading and throws, and helps make Mardi Gras happen! Hats, buttons, magnets, and much more!